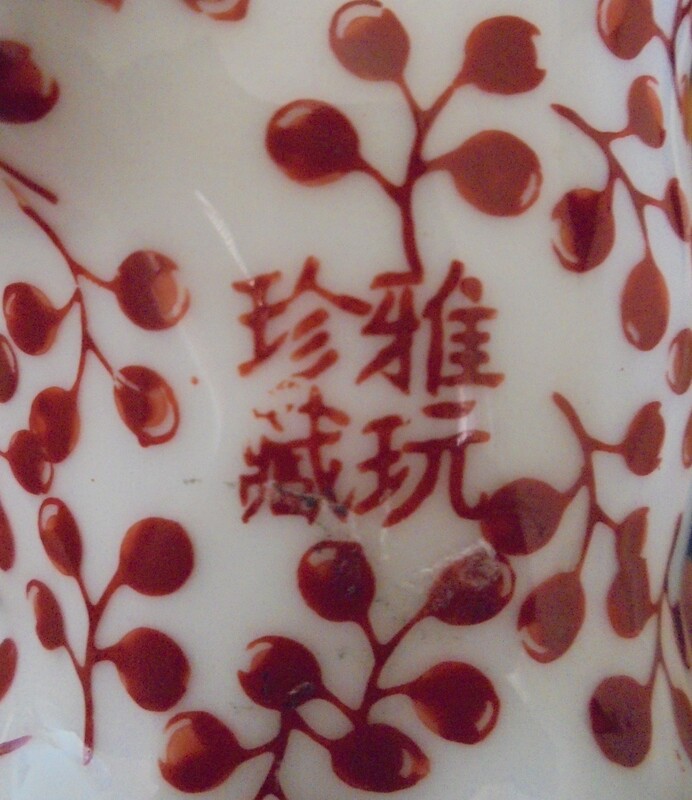 The mark reads down and across from the top right as "yawan zhencang" (雅玩珍藏), meaning "Precious collection of elegant trinkets". 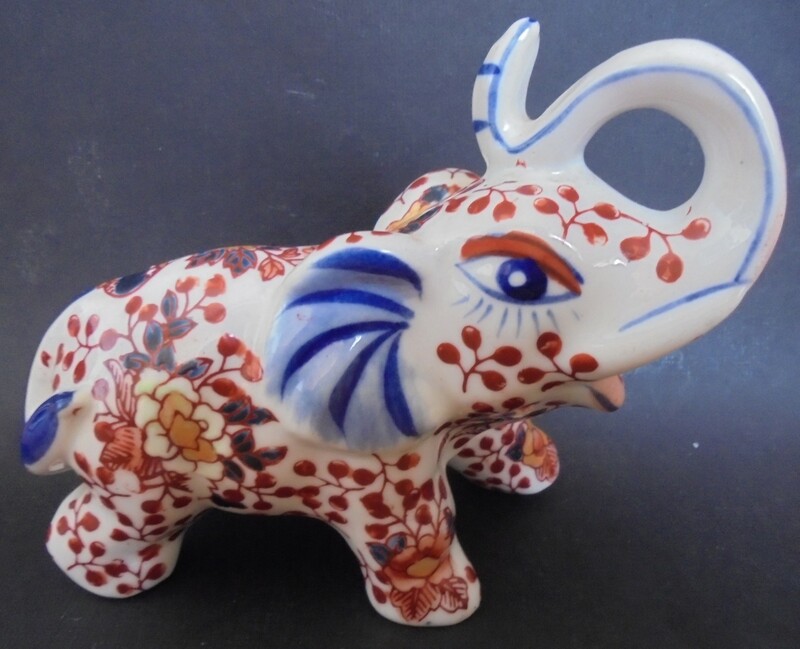 This appears to be a circa late 20th century or subsequent Chinese decorative item made in the Imari style, possibly at a porcelain ornamentation factory in Hong Kong. This manufacturer seems also to have occasionally used the mark of "Qian Yi Tang Zhen Cang Pin" (謙益堂珍藏品), meaning "Object from the Precious Collection of the Hall of Beneficial Humility". 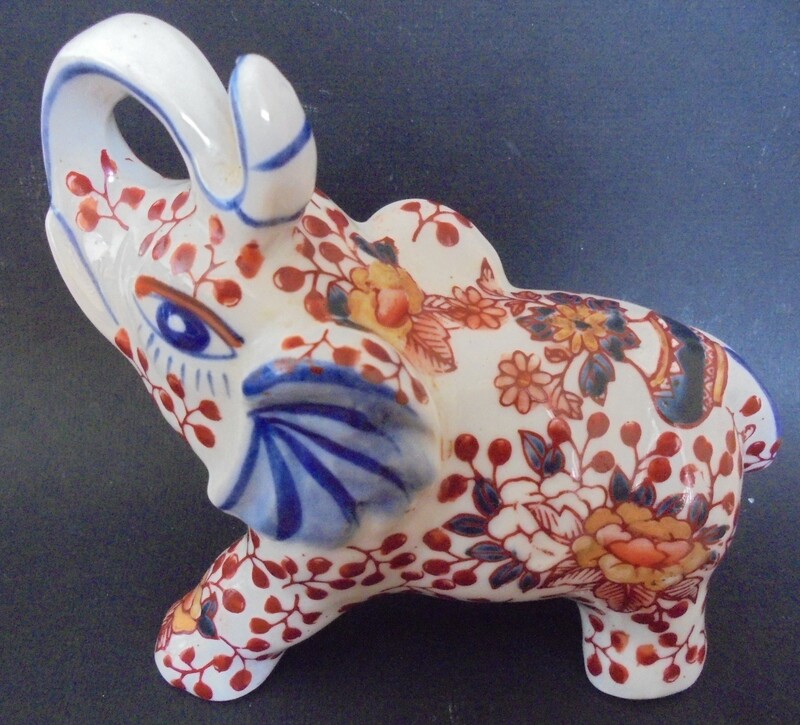 I believe this same factory also is responsible for such transfer-decorated wares seen under a mark of "Yi Qian Tang Long Nian Zhi" (義謙堂龍年製), translatable as "Made in the year of the Dragon for the Hall of Righteous Modesty" (or humility). You can use the forum search feature to pull up examples of this and the other items using the Chinese or English renderings of the marks.